Branding the wedding enables us to evoke sentiments and happiness among the guests. 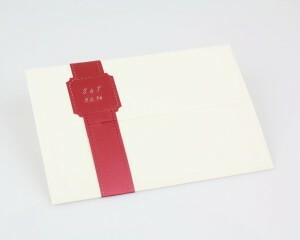 We trigger their anticipation as early as when they receive the wedding invitation. At the dinner table, our communication with the guests becomes even more personal, as the serviette rings and wine glass ornaments speak to them directly – providing an excellent opportunity to thank them for participating in our event. 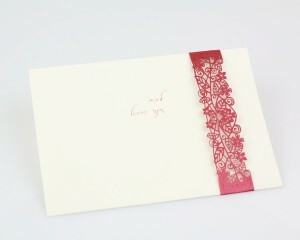 These products are personalized and include such details as the names of the bride and groom or the wedding date. Our serviette rings are made from top-quality metallic pearl paper and have a uniquely prestigious look. Our serviette rings may be ordered in a wide range of color shades and design styles, according to the character of the event. The rings close around the serviettes and upgrade the appearance of the dinner table in any festive event. Custom-designed, personally-branded serviette rings uplift your event into something more special – another design touch for the production of your event. Custom-designed serviette rings are kept by the guests as a memento of the event.